Another view of the light well passages. 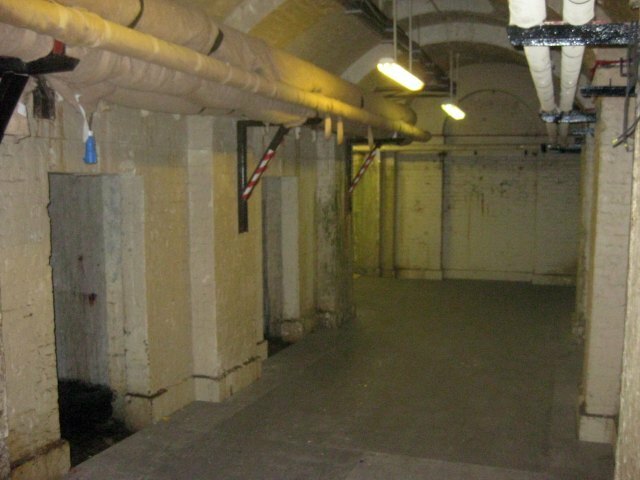 Numerous storage tunnels lead off from the passage, former coal bunkers to fuel the many fireplaces in the complex. On into the deadroom. This is directly beneath the central courtyard. There are no dead bodies down here, just gravestones placed here during the Georgian rebuilding. 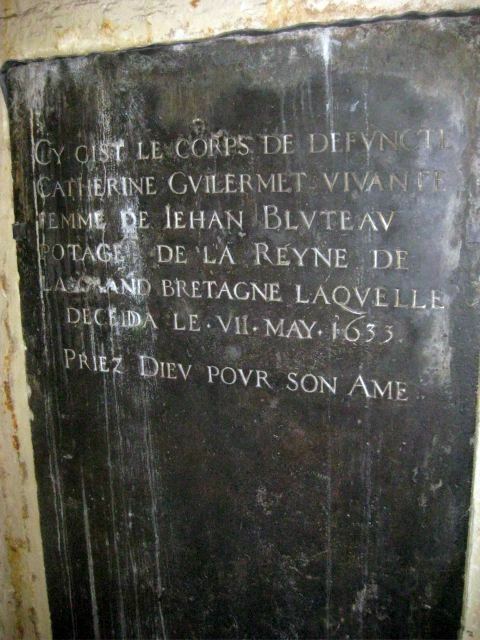 One of several gravestones, this one is in French, commemorating Catherine Guilermet, who appears to have been some kind of maid to the queen of Charles I (Henrietta Maria). But isn't 'potage' French for soup? Help, we need a translator. 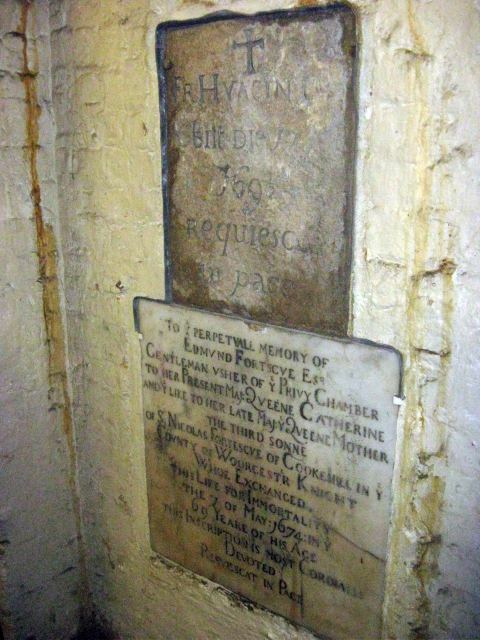 Another grave from the same period. Anyone care to translate? The Nelson Stair. 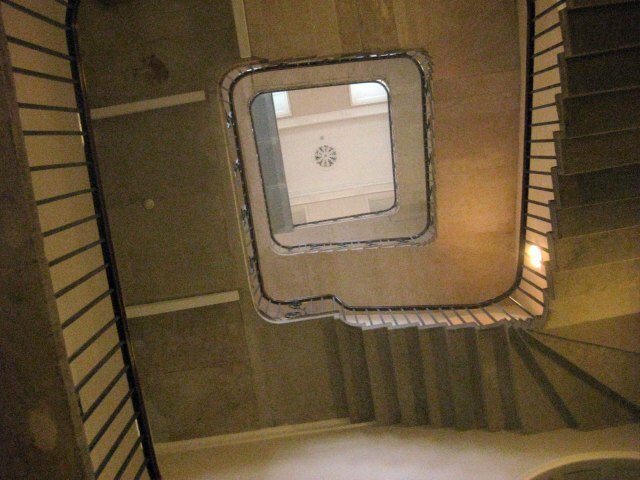 An elegant, curving stairway that's very difficult to photograph.The staircase is a replica, replacing the original which was destroyed in the Blitz. Architect William Chambers' original plans were followed in creating the replacement. Heading outside, we find ourselves in a light well. 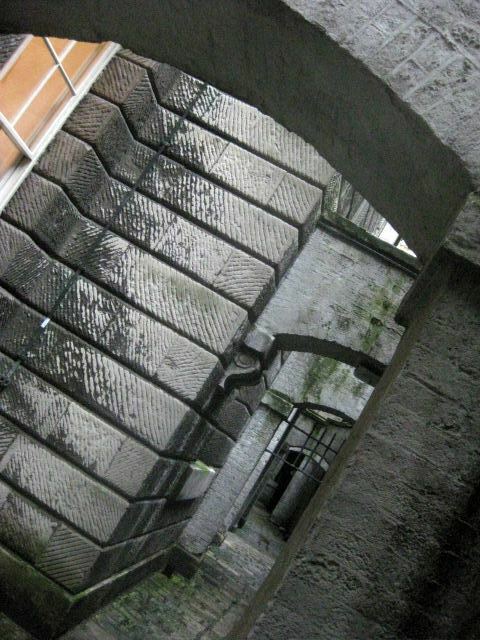 We're at the south-east corner of the courtyard, down at basement level. 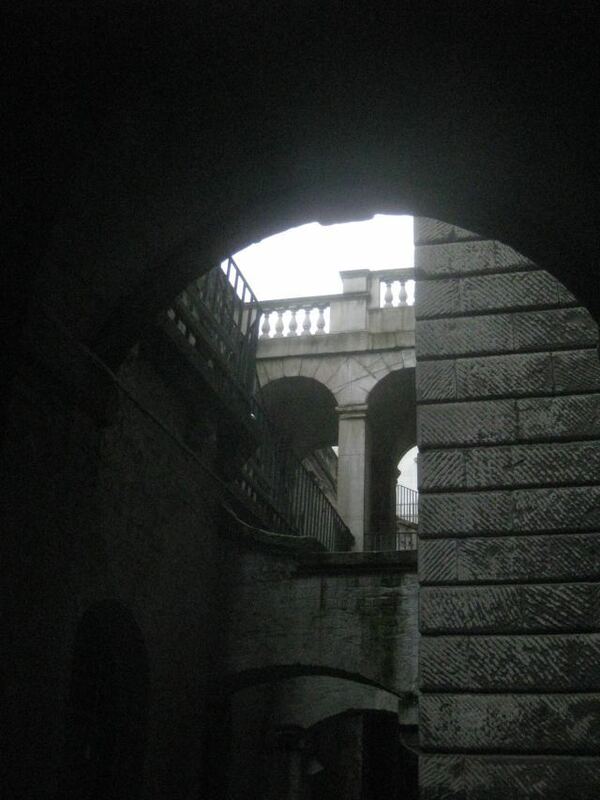 These evocative passages have been used as locations in many films, including the recent Sherlock Holmes flick. At the opposite end of the wing is the Stamp Stair, named after the practice of stamping newspapers which once occurred here. 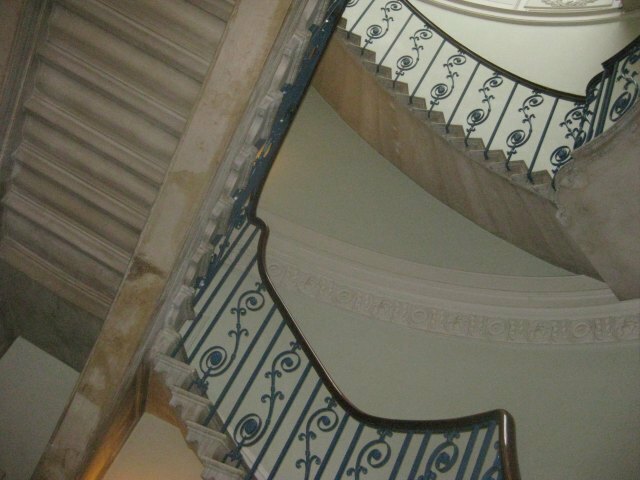 The staircase sports a curvaceous iron bannister in its upper reaches, but switches to mundane bars along the lower servants floors. 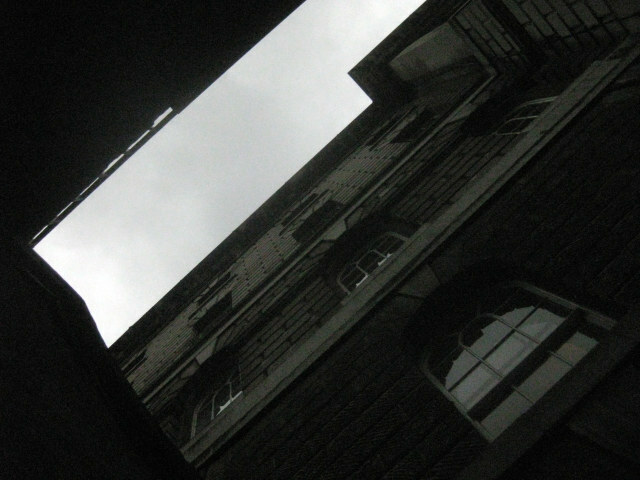 Looking up at Somerset House from the light well. The grand Portland Stone edifice of Somerset House is a place of merriment, arts, concerts and sedate riverside dining. But beneath the elegance and grandeur lies a little-known sequence of passages, chambers and vaults. We took a remarkable tour beneath the famous courtyard and into the 'Deadhouse', which contains the gravestones of 17th Century courtiers. 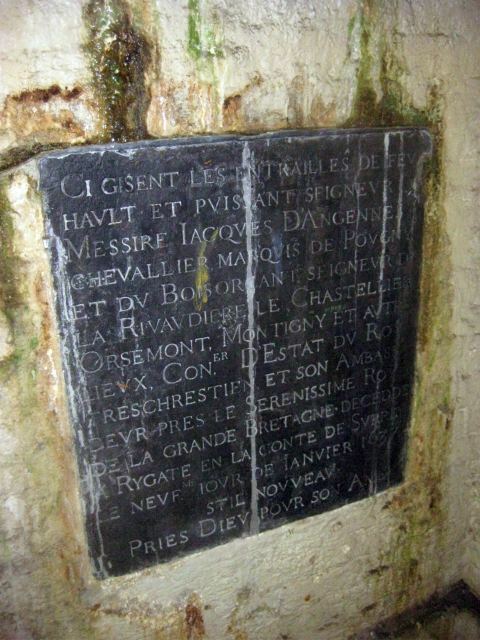 Click through the gallery above for details - oh, and help us translate the grave stones. The tours are free, run every Thurday and Saturday and are totally recommended. 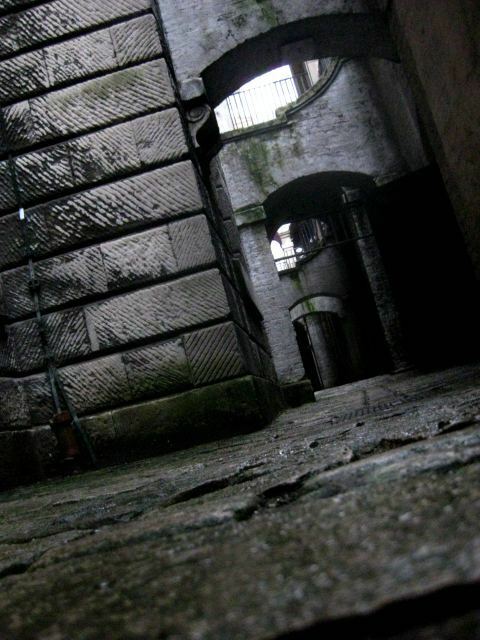 As well as visiting the deadhouse and surrounding passages, the walk also takes in the elegant Nelson stairway and the barge house, where you can see one of only two surviving 18th Century Navy Commissioners' barges. With kind thanks to Alan Patient and London Remembers for the recommendation.